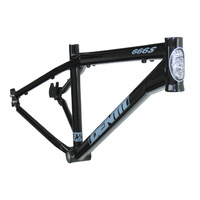 Rated by many riders around the globe as one of the finest BSX frames. 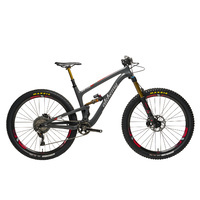 At 5.6lbs, the Dr continues to deliver the immense strength required to cope with BSX racing and trails use and yet is light enough to give blistering performance. 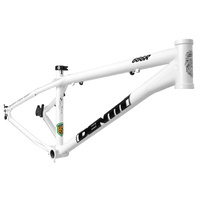 A light, rigid and strong 7000 series Aluminium frame. 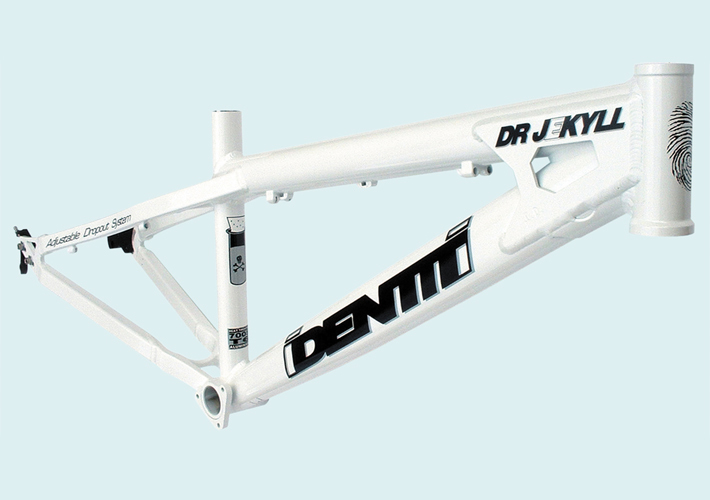 Using the right types of tubing and gussets in the important places, Identiti have evolved a stylish and brutally efficient Race/Trail frame that has outstanding versatility Identiti Dr Jekyll Frame. 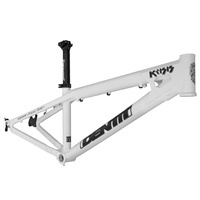 It can be run with discs or Vs, 24" or 26" wheels, Derailleur gears, hub gears or Single Speed - all possible, in any combination. 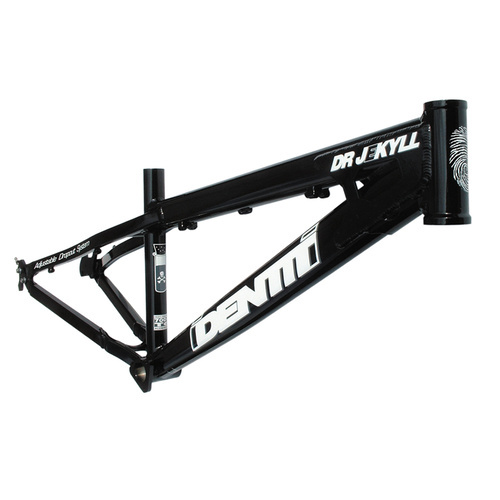 Carefully honed geometry and a gradual evolution of the best features from all of the previous Identiti BSX frames, the Dr Jekyll remains a great choice for BSX and Trails riding. International standard disc mounts built into the A.D.S. 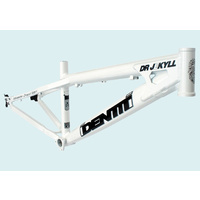 "The Dr. Jekyll frame is pretty much perfect. It has all the regular things that any modern day dirt jumper or 4X rider needs." 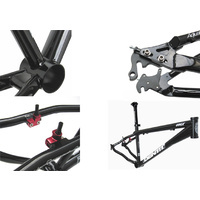 "Adjustable Dropout System. 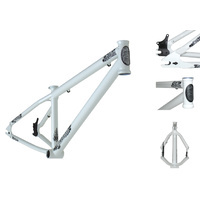 It's a neat little design where the rear mech hanger, rear dropouts and disc brake mounts are separate elements that run along a groove in the frame"
"Everything moves as one. 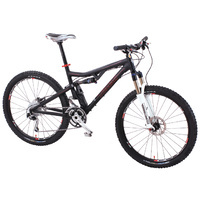 There's no need to re-adjust the disc brake because it moves in perfect harmony with the wheel." 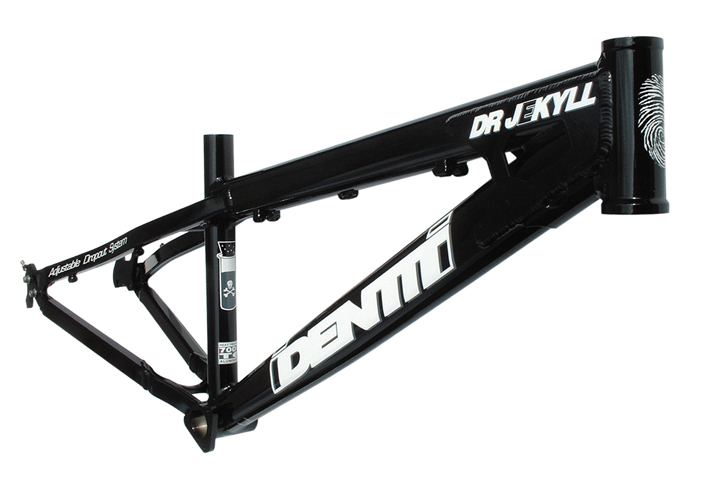 "To date, the Dr Jekyll is probably the most popular BSX frame in the UK"